lays near the enormous Barnard's Loop in the constellation of Orion. Commonly called the Bogeyman/Boogieman, LDN 1621-2 is nearly 10 light-years across. 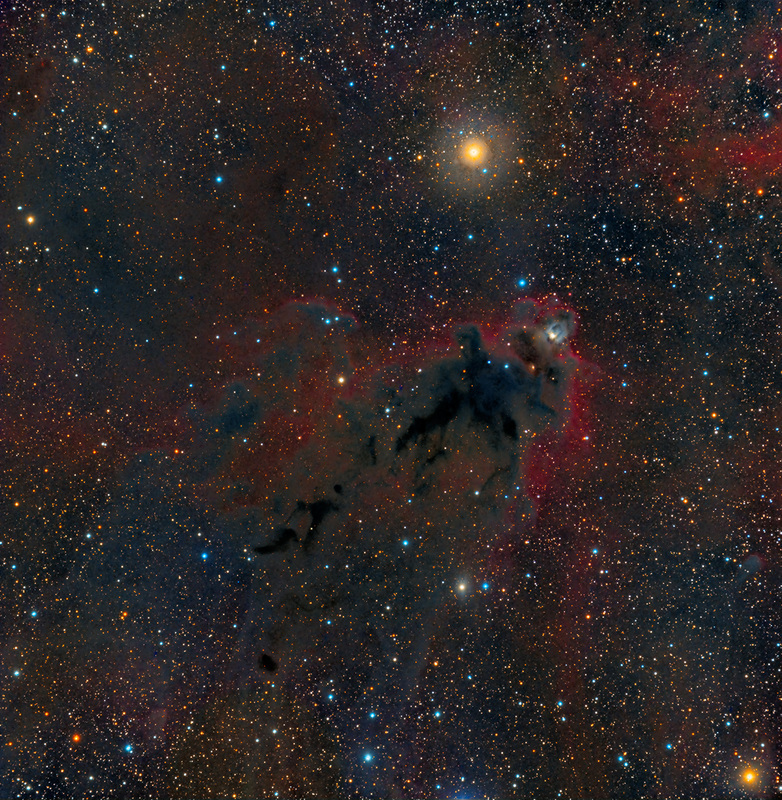 This dusty and spooky absorption 'dark doo-dad' appears against a red background of glowing hydrogen gas. The light of gold and blue stars adds to this beautiful palette. Many thanks to observing partner Mike Miller for the data.